We Design, Build and Deliver Top Ranking Cross Platform Apps. 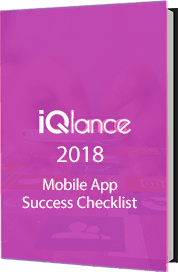 IQlance is a leading Toronto mobile app development company that provides high end enhanced cross apps that help clients to diversify their business across various industry verticals. Multi-platform mobile application development provides the user with experience that combines functionality of native apps with the multi-platform compatibility of mobile web apps. IQlance uses latest and trending technology to make its Cross App development project execution a unique and simple process. We set milestones at every stage to ensure that app development process is executed within the designated time frame. Listen and interpret: Our one on one client centric approach allows us to sit down, listen to your ideas and help you expand on them. These brainstorming sessions ease the development process and introduce a much needed layer of transparency. Design: We keep the target audience in mind when we design apps for you. Our designs are a conglomeration of intricate and simple design ideas and features all infused in one single app. QA and maintenance: We are not the ones to compromise with quality as it is essential to our very existence. Our Cross application is not released until it has been checked and approved over and over again. App Promotion and Release: We have a wide array of application marketing tools and strategies to smooth out the application release as it could be a tricky process.